Dr. Royer obtained her Bachelors (Licence) degree in 1979 at the University of Pierre and Marie Curie - Paris 6 in Biochemistry and Chemistry. She obtained her Ph.D. in 1985 in the Department of Biochemistry in the School of Chemical Sciences at the University of Illinois at Urbana-Champaign under the direction of Professor Gregorio Weber. She carried out postdoctoral studies at the University of Paris 7, the CNRS at Gif-sur-Yvette and at LURE under the direction of Bernard Alpert, Guy Hervé and Jean-Claude Brochon. She then took a position as User Coordinator and Research Physicist at the Laboratory for Fluorescence Dynamics in the Department of Physics at the University of Illinois - Urbana Champaign. In 1990 she moved to an Assistant Professorship in the School of Pharmacy at the University of Wisconsin-Madison, where she was promoted to Associate Professor with tenure in 1995. 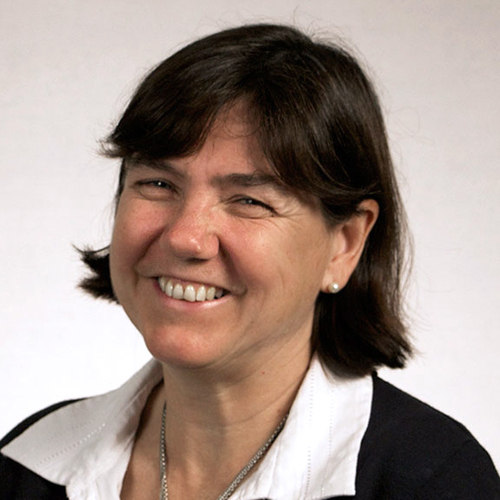 In 1997 she took the position of INSERM Director of Research in the Center for Structural Biochemistry in Montpellier France where, in 2002, she became Associate Director of the institute and in 2007, Director. In 2013 She moved to Rensselaer Polytechnic Institute as a Professor of Biological Sciences and chaired Constellation Professor in Bioinformatics and Biocomputation. Zhang, S., Zhang, Y., Stenzoski, N., Peran, I., McCallum, S.A., Raleigh, D. & Royer, C.A. Pressure-Temperature Analysis of the Stability of the CTL9 Domain Reveals Hidden Intermediates Folding Intermediates of CTL9, Biophys. J. 2019 (in press). Jenkins, K.A., Fossat, M.J., Zhang, S., Rai, D.K., Klein, S. Gillilan, R., White, Z., Gerlich, G., McCallum, S.A., Winter, R., Gruner, S.M., Barrick, D.& Royer, C.A. Consequences of Cavities on the Folding Landscape of a Repeat Protein Depend Upon Context, Proc. Natl. Acad. Sci. USA 115(35):E8153-E8161 (2018). Dorsey, S., Tollis, S., Cheng, J., Black, L., Notley, S., Tyers, M. and Royer, C. A. G1/S Transcription Factor Copy Number is a Growth-Dependent Determinant of Cell Cycle Commitment in Yeast, Cell Systems, 6, 539+, (2018). Zhang, Y., Berghaus, M., Klein, S., Jenkins, K., Zhang, S., McCallum, S. A., Morgan, J. E., Winter, R., Barrick, D. & Royer, C. A. High Pressure NMR and SAXS Reveals How Capping Modulates Folding Cooperativity of the pp32 Leucine Rich Repeat Protein, J. Mol. Biol. 430, 1336-1349 (2018). Andra, KK, Dorsey, A, Royer, C, Menon, AK Structural mapping of fluorescently-tagged, functional nhTMEM16 scramblase in a lipid bilayer, J. Biol. Chem., RA118. 003648 (2018). Møller, T.C., Hottin, J., Clerté, C., Zwier, J.M., Durroux, T., Rondard, P., Prézeau, L., Royer, C.A., Pin, J.-P., Margeat, E. & Kniazeff, J. Oligomerization of a G protein-coupled receptor in neurons controlled by its structural dynamics, Sci. Reports 8, 10414, (2018). Knop, J.-M., Harish, B. Patra, S., Royer, C.A. & Winter, R., The Deep Sea Osmolyte TMAO and Macromolecular Crowders Rescue the Antiparallel Conformation of the Human Telomeric G-Quadruplex from Urea and Pressure Stress, Chemistry - A European Journal, 24, 14346-14351 (2018). Roche, J., Royer, C.A. & Roumestand, C., Exploring protein conformational landscapes using high pressure NMR, Methods Enz., (in press) (2018). Kitazawa, S., Fossat, M.J., McCallum, S.A., Garcia, A.E and Royer, C.A. NMR and Computation Reveal a Pressure-Sensitive Folded Conformation of Trp-Cage, J. Phys. Chem B., 121, 1258-1267 (2017).